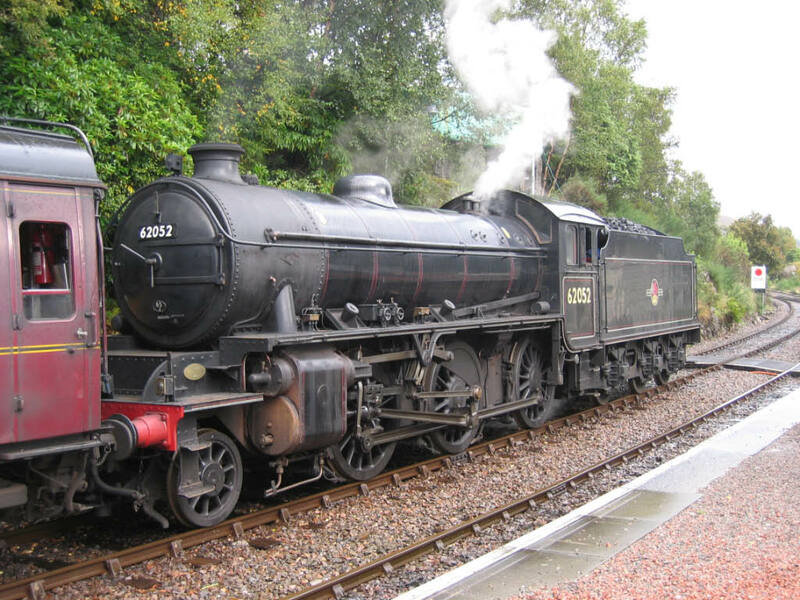 K1 62005 was designed by the London and North Eastern Railway, built by the North British Locomotive Company in their Queen’s Park Works, Glasgow as NBL no 26609 and delivered to the fledgling British Railways in June 1949. 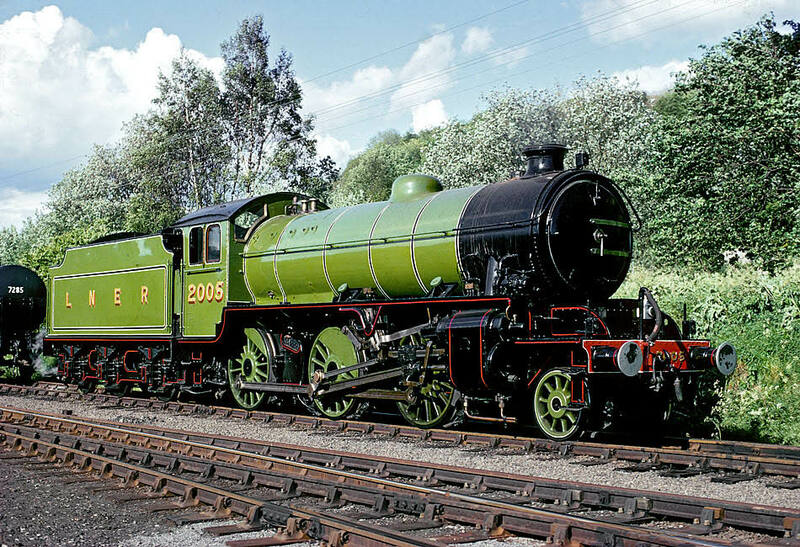 The locomotive’s design is attributed to A H Peppercorn but its pedigree goes back to the Great Northern Railway. A young Nigel Gresley’s first loco design was influenced by the popularity of the 2-6-0 wheel arrangement in North America. The result was the GNR class H2 later LNER original class K1. This developed into Gresley’s highly successful K2 design that served the three railway eras, GNR, LNER and British Railways. Several K2s saw service on the West Highland lines and even had special, side window, cabs fitted to help cope with the climate (the summer version of which, the NELPG support groups know only too well). 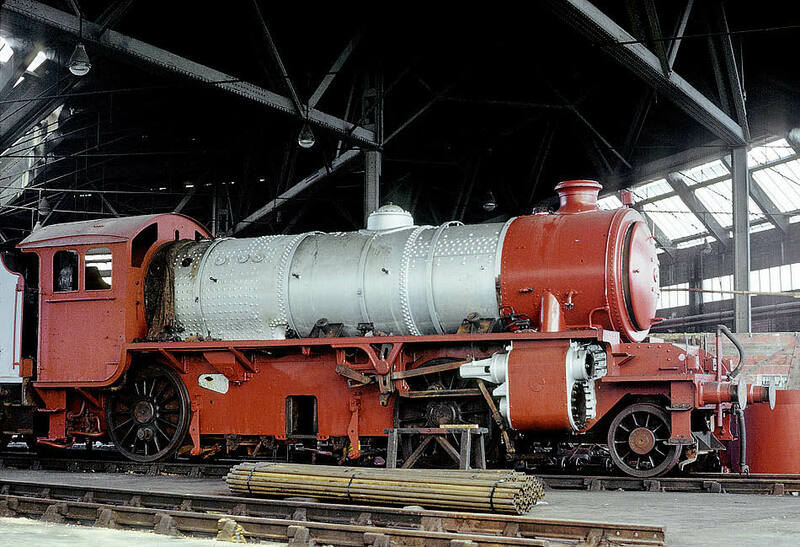 Gresley wanted a more powerful mogul for the West Highland and developed his three cylinder K4 but this small class of only six locos posed maintenance difficulties during and after the dark days of World War 2. Edward Thompson became Chief Mechanical Engineer, in 1941, after Gresley’s death. In 1945, he modified no 3445 (later numbered 1997) to a two cylinder design. 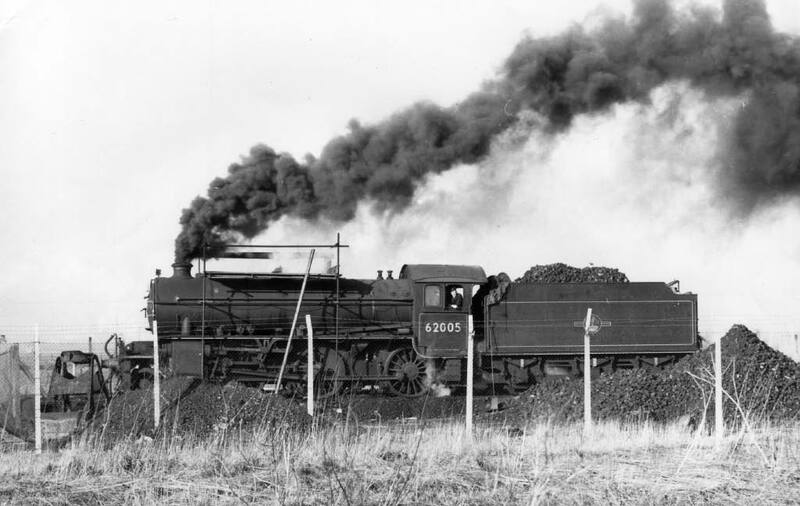 This prototype, MacCailin Mor proved to be successful such that, after Thompson’s retirement, Arthur Peppercorn, his successor, made a few more design alterations and ordered a batch of 70 from the North British Locomotive Company. 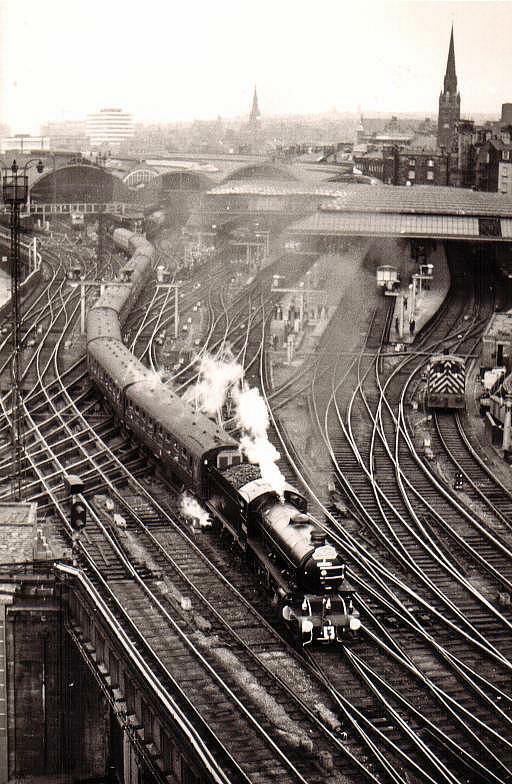 Although to an LNER design, all were delivered after nationalisation. All the original LNER K1s had been converted to K2s by 1937 so the new design took over the K1 classification with the prototype being K1/1. Thompson’s design modifications included replacing three 18.5 inch cylinders with two of 20 inch diameter. The valve sizes were increased from 8 to 10 inch diameter and the boiler pressure was increased from 200 to 225 psi. The K4 was a totally vacuum braked loco but this new loco was fitted with steam brake on loco and tender. The graceful sweep of the running plate ahead of the driving wheels was lost to accommodate the larger valves and cylinders. The K4 pony truck, to a Gresley double swing link design, was changed to utilise a side spring control system. Thompson was driven to improve standardisation of parts and as a result the K1 cylinders are the same as those on a B1. 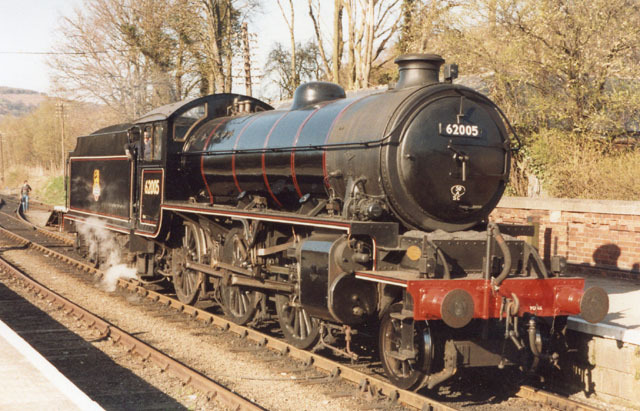 Similarly, the K1 boiler is a shortened version of the B1 boiler with identical firebox. When Arthur Peppercorn succeeded Edward Thompson, he made a few further modifications to the rebuilt K4 design and then ordered 70 of these K1s from NBLCo. Peppercorn replaced the 3 bar slide bar by a single bar design. This had a different motion bracket. A gap was put at the front of the running plate to give better access for valve removal. A rocking grate and hopper ashpan were fitted and the pony truck was modified again to utilise coil rather than leaf springs. To increase range, the 3,500 gallon group standard tender inherited (and retained) by the K1/1 was changed to ones of 4,200 gallon capacity for all of the K1s. All of the class were fitted with a BTH speedometer and electric lighting powered by a Stones steam turbine. Most of the class retained their generators but all lost the speedometers even though some retained the support brackets. Further modifications in BR days included fitting an automatic warning system to some locos, including 62005. This involved moving the drivers side injector over to the fireman’s side to clear space for the AWS battery box. However the pipework within the cab remained unchanged. The steam brake valve inside the cab was repositioned to give space for the drivers AWS control box. Ironically, had the smaller design of steam brake valve fitted to the BR standard locos, been available in 1949, it could possibly have stayed in its original position resulting in a tidier cab layout. 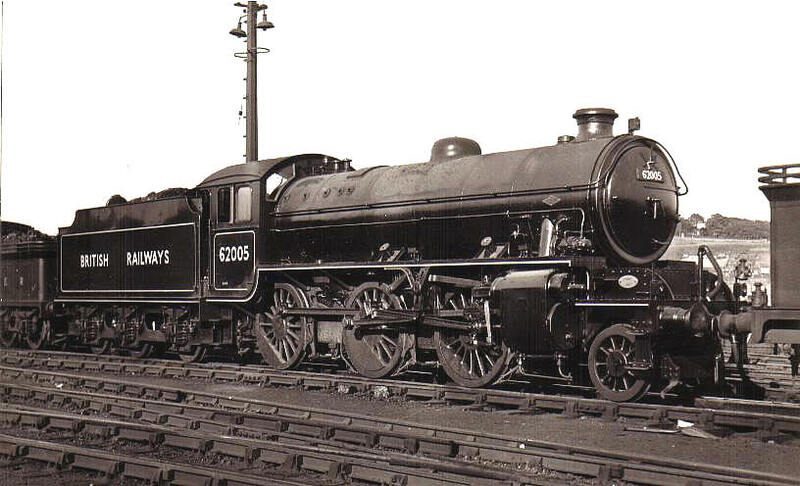 Loco 62005, like all of the class went for running in to Eastfield shed, Glasgow. From there it went first to Darlington, then Heaton in Sept 49, back to Darlington in July 52, Ardsley in June 59, York in August 59, North Blyth in March 66, Tyne Dock in May 67 and finally Holbeck in September 67. 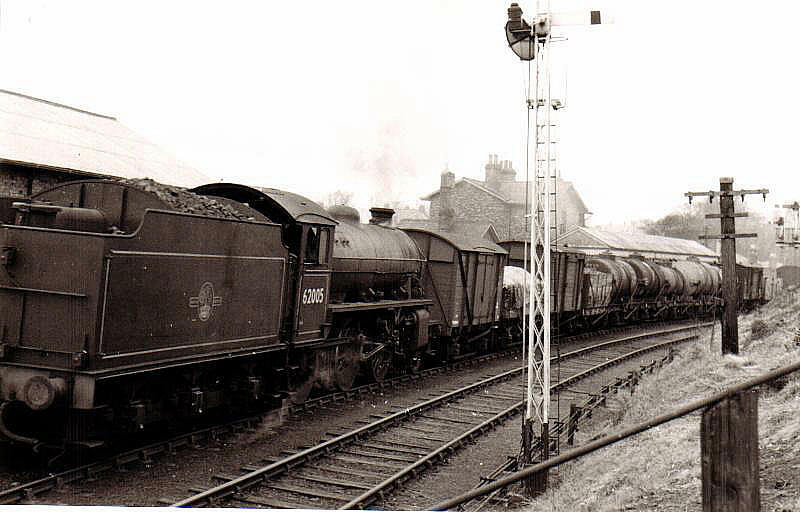 It was condemned on 30thDecember 1967 and eventually sold to a consortium of Viscount Garnock, Geoff Drury, Brian Hollingsworth and George Nissen on 30th May 1969 for the boiler to be saved as a spare for the K4 61994 (LNER 3442) The Great Marquess, which they had bought. No 62005 had only survived until then because it had been used for a brief period as a temporary stationary boiler on the ICI North Tees Works. The boiler was not needed for the K4 so the loco was kindly donated to the infant but ambitious NELPG in 1972 and was delivered to BR’s Thornaby Depot on 14th June of that year. The loco was overhauled at Thornaby Depot by NELPG volunteers and in accordance with the wishes of the donating group, was painted in a fully lined out LNER green livery. 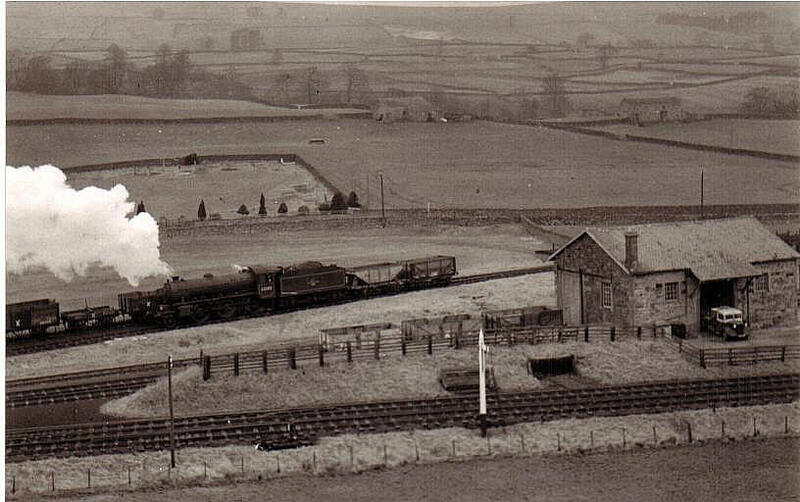 The restored loco was moved to the North Yorkshire Moors Railway on 28th May 1974 and went into traffic on 8thJune. In 1975 it made its first mainline runs in preservation between Whitby and Battersby before going to Shildon to join the Sand D 150 celebrations. 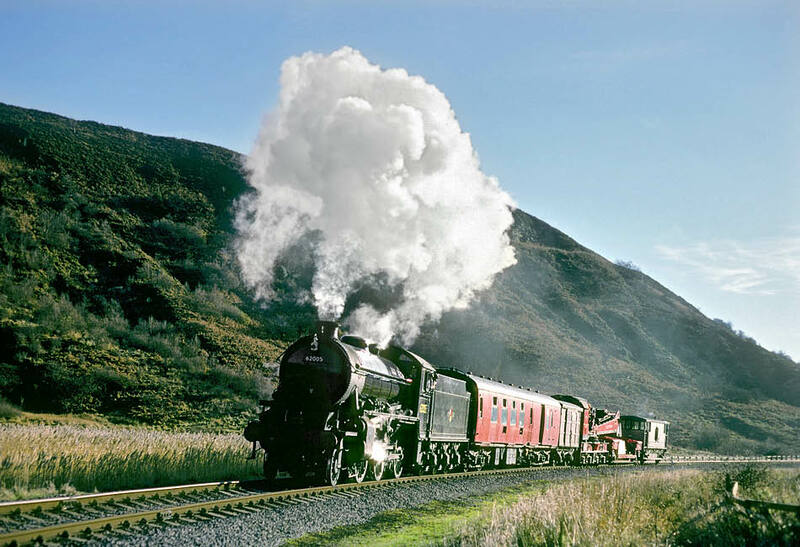 It made further excursions onto the mainline in 1977, 78 and 79. Over the winter of 1980/81 the K1 was fitted with new tyres at BSC Rotherham. 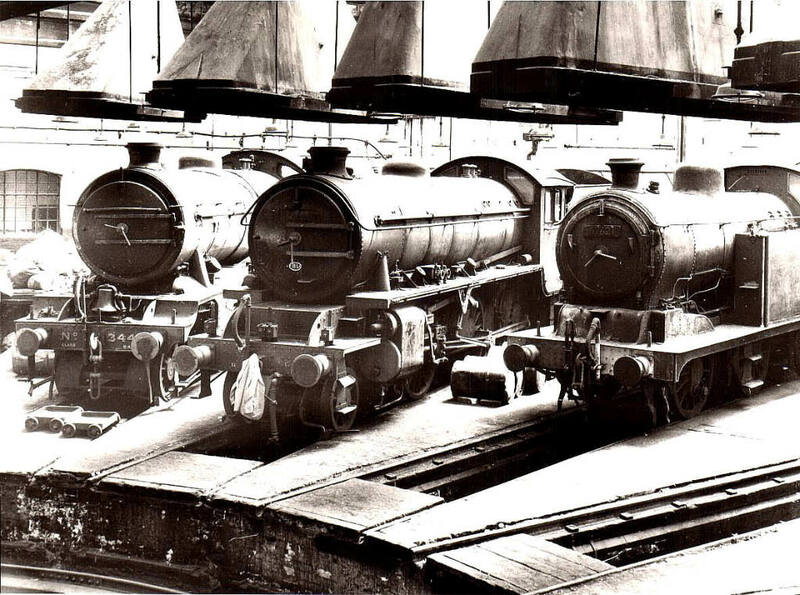 A visit to the KWVR and 2 solo performances over the Sand C preceded a major overhaul in 1985 in ICI Wilton Works No 5 Depot involving the Manpower Services Commission scheme. The loco was quickly back at work and by the end of 1986 it had covered 5,500 miles on the NYMR and 1,067 miles on the main line since the overhaul. 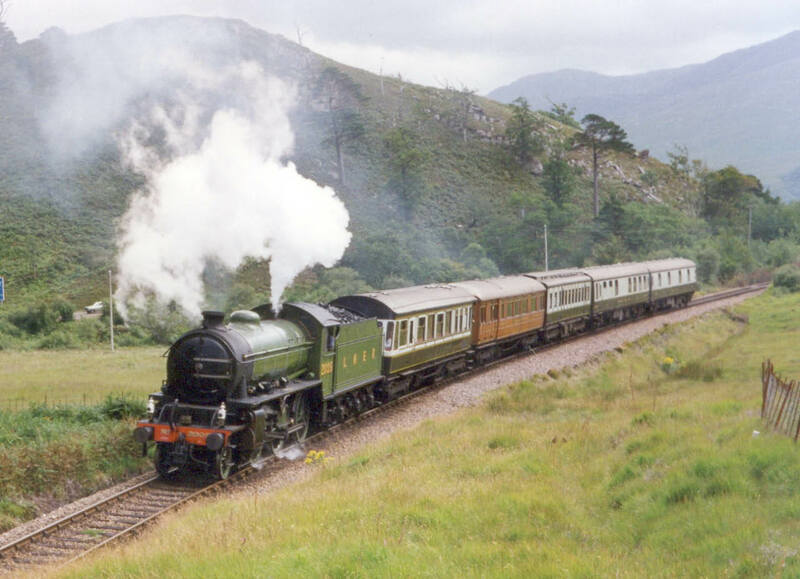 On 28thJune 1987 the K1 began its long association with the West Highland line from Fort William to Mallaig. 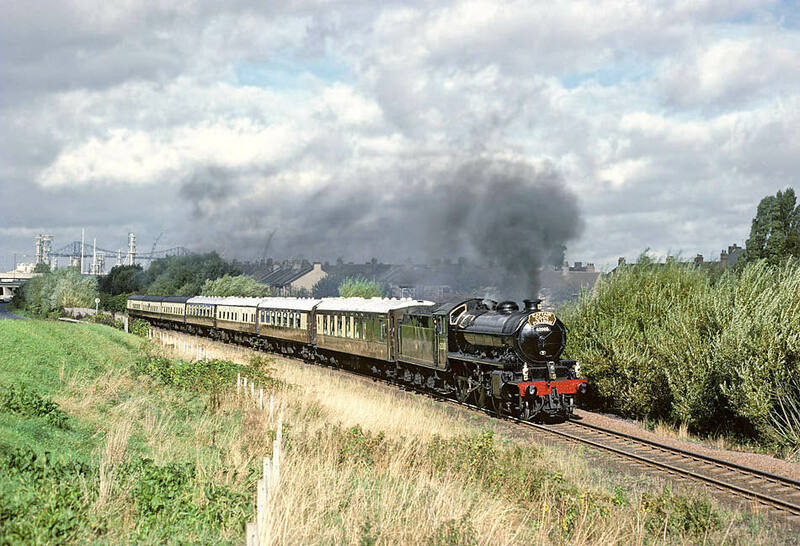 It returned in 1988 and it hauled some Santa specials around the Edinburgh suburban circuit. The 87/88 winter maintenance included a full re-tube at Wilton. 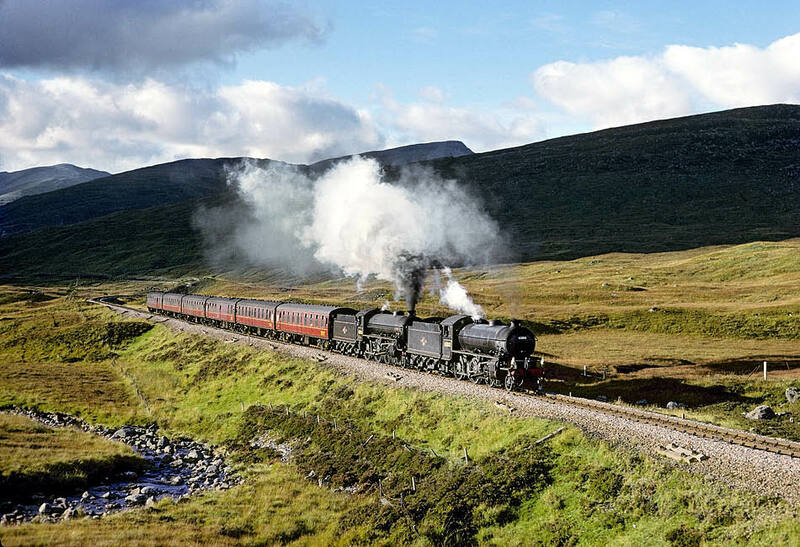 The 1989 season, apart from a trip to Saltburn, was spent on the NYMR then back to Fort William 1990. 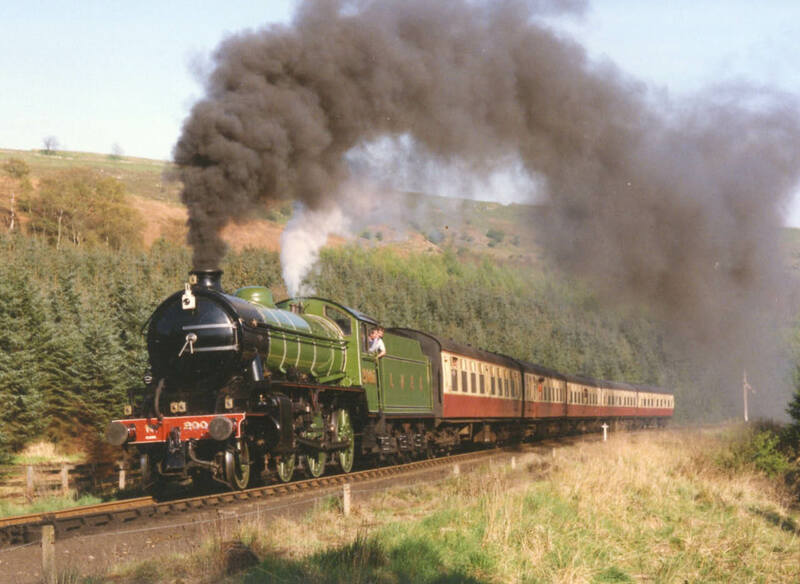 The 1991 season was spent on the NYMR again then back to Scotland for 1992. On 28thMarch 1993 the K1 made two return trips to Eastgate, Weardale at a time when that railway was still part of the national network. The loco went directly from those trips to the KWVR for a short season. 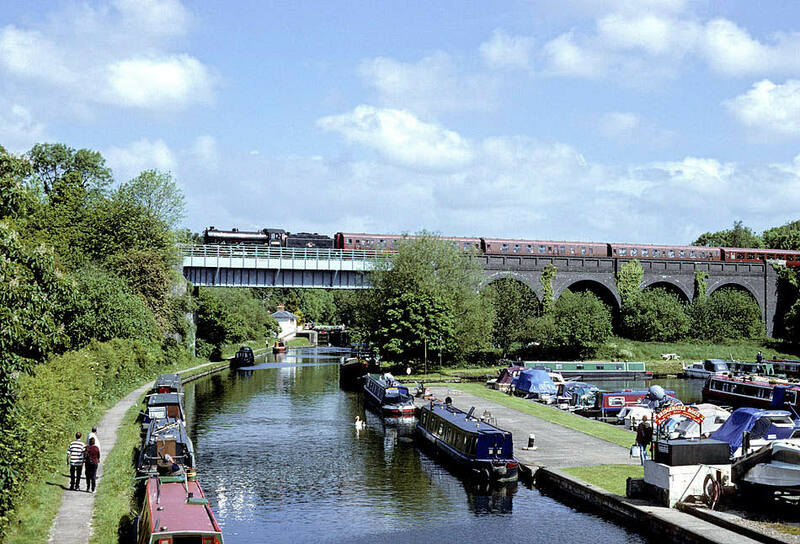 On its way to Scotland in 1994, the K1 hauled a railtour from Darlington to Carlisle via the East Coast Main Line and the Tyne Valley handing over to the A2, which took the remainder of the tour to Skipton. 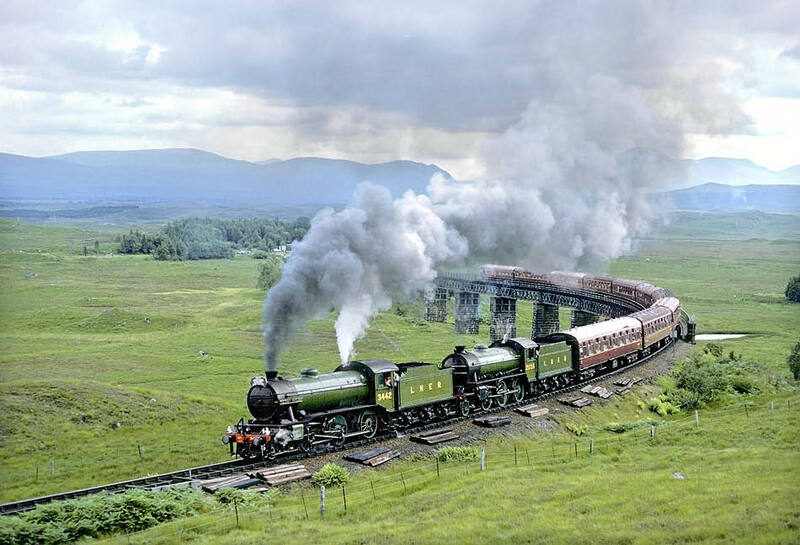 The K1 went on its way North for the season that included the West Highland Railway centenary celebrations, the highlight of which was the pairing of the K1 with the K4, The Great Marquess, the loco for which, 22 years earlier, it was intended to be the boiler donor! The 1994 season ended sadly. Having endured a repair to a cracked throat plate the K1 returned home for its next major overhaul. On its way it shared adjoining roads in Thornaby Depot with the A2 the night after the calamitous wheelslip at Durham. The K1 was to receive a new bottom section to the copper inner firebox. However the overhaul was delayed awaiting delivery of the copper sheet and inevitably by the need to attend to the stricken A2. To make matters worse, the planned J27 overhaul had already started. In August 1998 the overhauled K1 left the ICI No 5 Depot at Wilton for the last time for the NYMR. 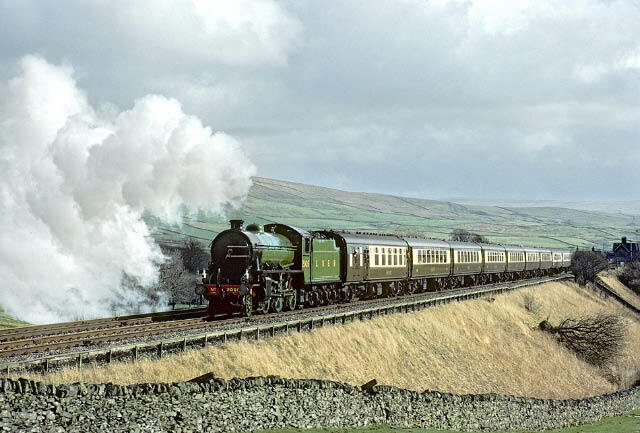 It then went to the East Lancs Railway, by road, for January and February 1999, returning to Grosmont by rail as its initial mainline test run. Then it was off to Ruislip, London in May for ‘Steam on the Met’, a two weekend festival involving four locos on a shuttle service between Neasden, Amersham and Watford, all part of the London Underground system. 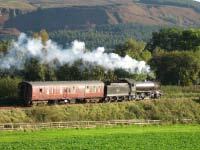 The K1 then returned to the NYMR finishing the year with the Captain Cook Pullman special from Middlesbrough to Whitby and return. The year 2000 saw the K1 back for ‘Steam on the Met’, calling at Hull docks on the way back to Grosmont for a photo charter, then settling down to a season on the NYMR. In preparation for Fort William, the winter of 2000/1 saw the valves rebored, all the injector copper pipework renewed and an ashpan sprinkler fitted. But 2001 is remembered by the group for an incident on route to Fort William. As the train of 9 coaches hauled by the B1 and K1, the K1 broke a drawbar pin and the loco with a small support crew, had to be abandoned at Eastfield on the outskirts of Glasgow. Overnight repairs, courtesy the Scottish Railway Preservation Society, and the K1 continued its journey to Fort William. A successful season culminated in railtour home via Oban. The 2002 season started with a railtour to Bury via York and Hull. The visit to Bury was to the works of Riley (E) and Son for the fitting of its second set of new tyres and a short season on the East Lancs Railway before setting off again for Scotland. 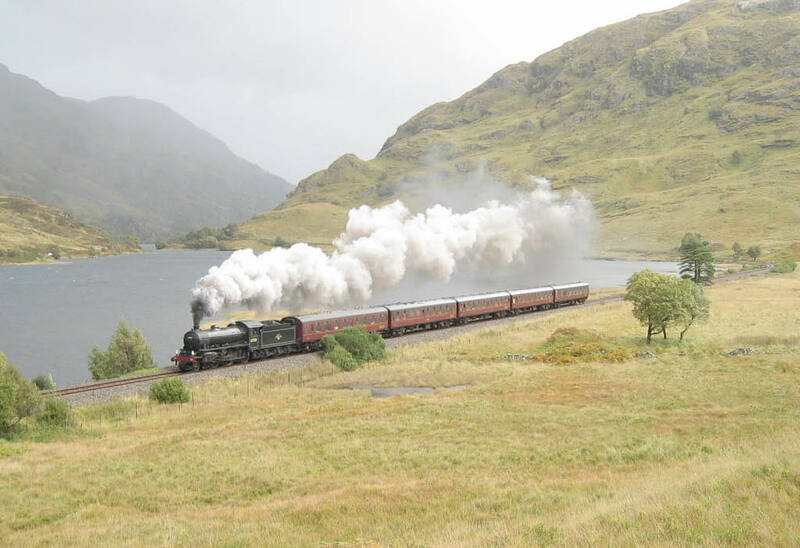 The 2002 Jacobite season ended with a memorable series of photo charters across Rannoch Moor and another railtour homewards to Carnforth. In early 2003 all the boiler washout doors were refurbished and a small crack was found around one of the doors on the LH side – a foretaste of things to come! The 2003 season at Fort William was uneventful until 2nd October when a crosshead cotter worked loose. Repairs involved returning crosshead and piston to a specialist firm on Teesside for repair then, 4 days later, returning the parts to Scotland to finish the Jacobite season. The loco then went to the Keighley and Worth Valley Railway for a short stay and whilst there was fitted with the, by then, mandatory Train Protection and Warning System. This was followed by crown stay, small boiler tube and superheater element replacement at Carnforth. Early in 2004 the cylinder liners were replaced and all this work was to extend the loco’s mainline certification until December 2007. After the work at Carnforth, a railtour was successfully operated with a double circular journey via Lancaster, Preston, Hellifield and Carnforth. The K1 was then put on display at the NRM’s Railfest leaving York on 26th May, bound again for Fort William, via Carnforth. In June the K1 deputised for the B1, which had flue problems, but on 17thJune the K1 itself was in difficulties with a hot driving axle box. The loco, without tender, was brought to Carnforth, by road, the axle dropped out and the box remetalled in time for the loco to return to Scotland and resume service on 1stJuly. The remainder of the season passed without further problems and the loco was back at Grosmont in time for a Whitby Middlesbrough special on Dec 2nd. In 2005 the loco was made ready for a special to celebrate the 40th Anniversary of the closure of what is now the NYMR. 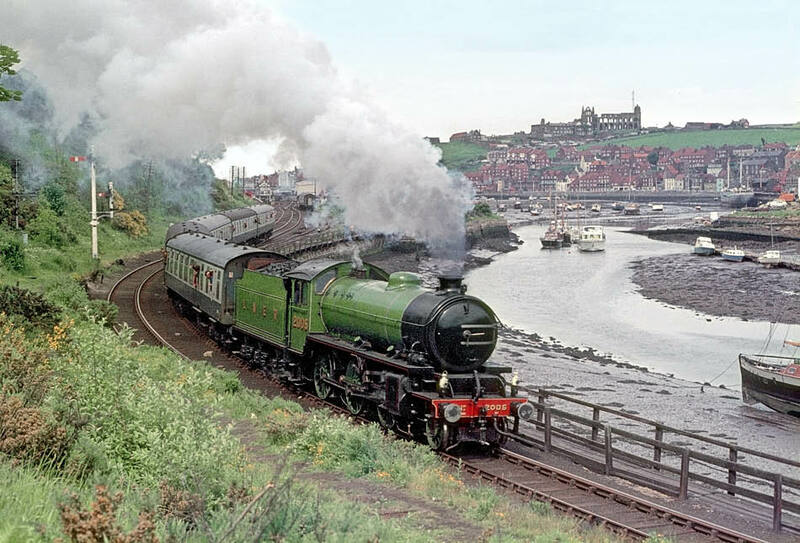 The special train ran from Whitby to Pickering and return. 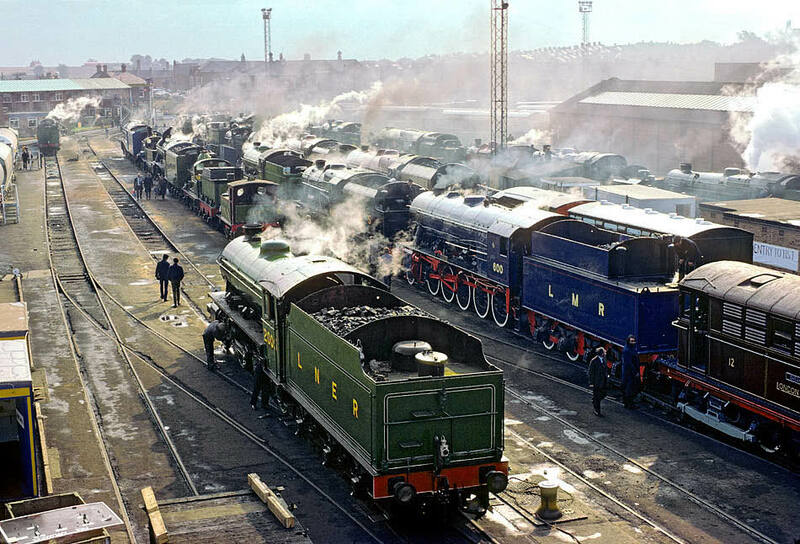 The choice of the K1 was appropriate because no 62005 with the K4, by then numbered 3442, in effect performed the closing ceremony in 1965. The 2005 season in Scotland saw the beginning of 7 day/week running to cope with the public demand. Things went smoothly until, almost at the close of the season, at the end of a 22 day continuous spell of running, a crack was found in a similar position, but on the other side of the boiler, to that found in 2003. An on-site repair was attempted by Ian Riley’s men but it was realised that a boiler lift would be necessary to get to the root of the problem. So with great ignominy, the K1, with con rods removed, was towed, cold the 287 miles back to Carnforth. 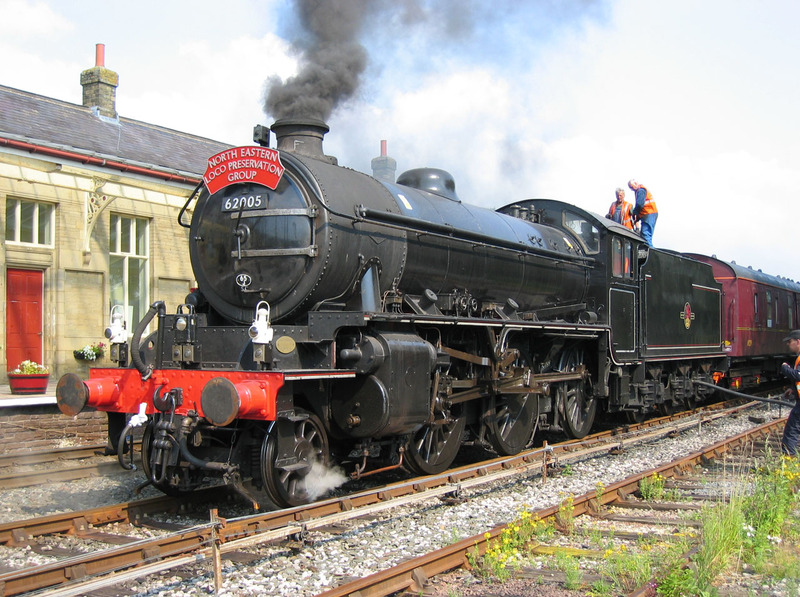 The West Coast Railway Company was willing to give priority to the boiler repair and bearing in mind that a lot of work had already been done at Carnforth in 2004, a decision was made to carry out as much as possible of a full mechanical overhaul whilst the boiler was out of the frames. Non Destructive Testing revealed the need to replace the firebox outer backplate. 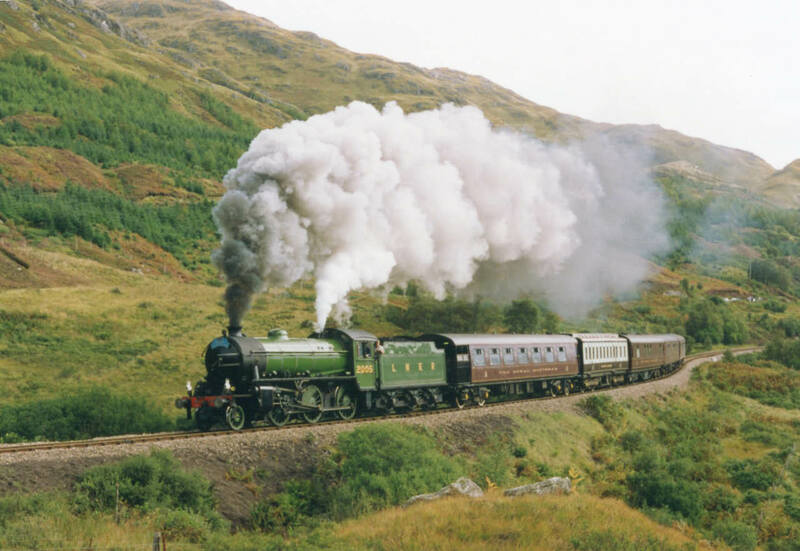 The desire to have the loco available for the 2006 Jacobite season gave urgency to the acquisition of this item. Alan McEwen had never made such a large backplate but he was the only boilermaker who could promise delivery on time. The plate was delivered 2 weeks early at the end of March. The plate was fitted by WCRC by the end of April and all the boiler was back in the frames and steamed by the end of May. Final fitting out, installation of OTMR (on train monitoring and recording) equipment, a loaded test run and Vehicle Acceptance Body approval were completed by early July and the locomotive then left for yet another season in Scotland. 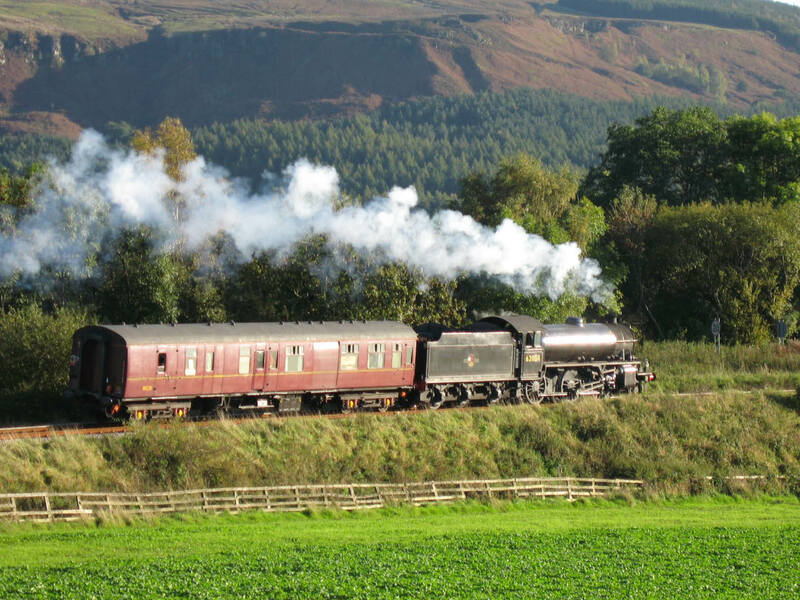 After a successful season the loco then returned to Grosmont to hurriedly take over the NYMR’s last few days of running to Whitby before the start of this winter’s maintenance work. A tight timetable in 2005-6 meant that the pony was not overhauled so this was tackled along with attention to the drawbar, intermediate buffers and the regular piston and valve examinations. 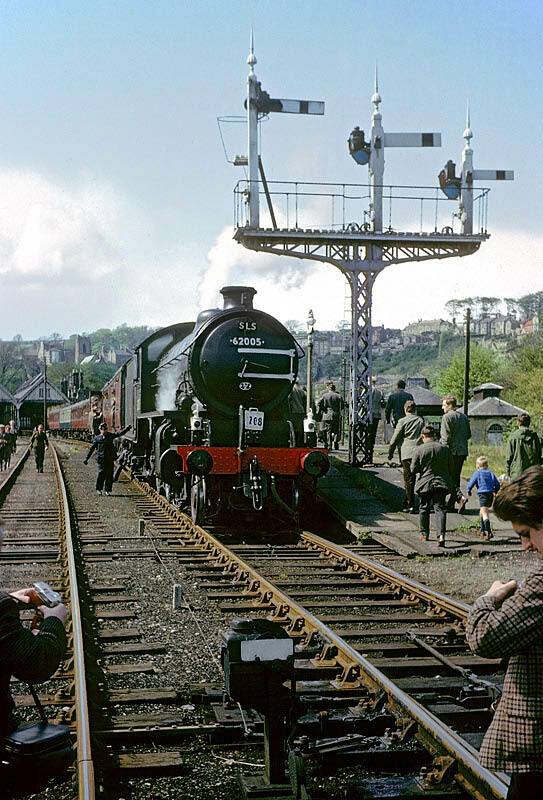 The loco entered traffic on the NYMR, early in the spring for Esk Valley line crew training, and to haul the Easter Whitby trains. 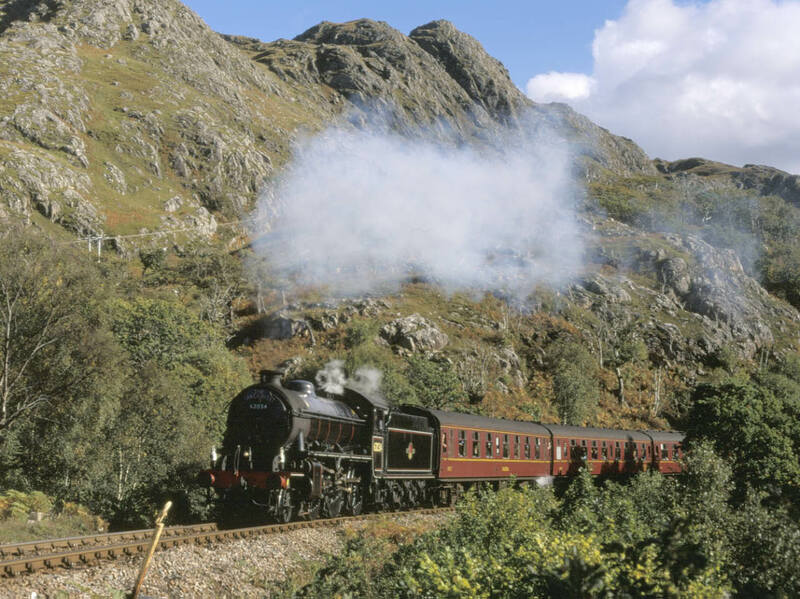 After the 40th anniversary "3 Dales Railtour" in May, 62005 returned to Fort William for another full Jacobite season. Heating Surface of Firebox: 168 sq.ft.